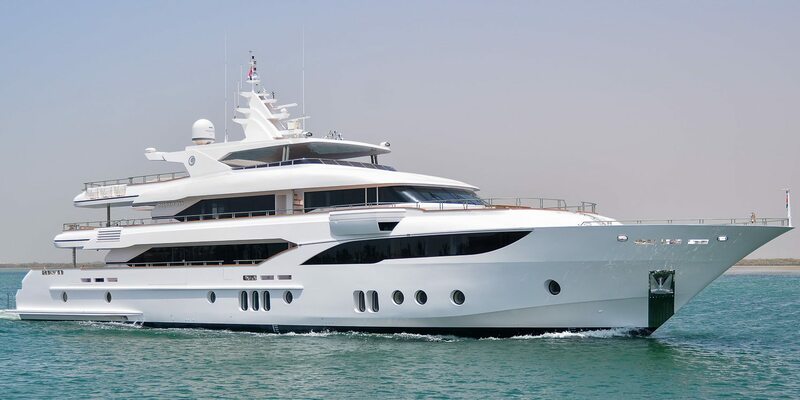 The stunning Majesty 155 is the largest model of the Majesty Superyachts series ever made by Gulf Craft (so far). 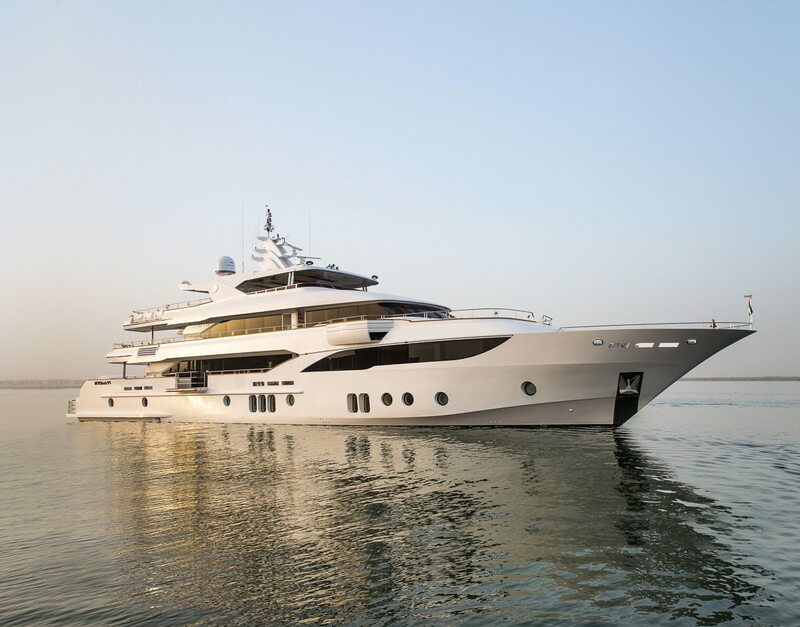 She was developed as a high-end superyacht and offers a space extended at 9.60 m beam, which is rarely found even with this length of Superyachts. The GRP hull has very good running properties and is always stable and safe even in bad weather. 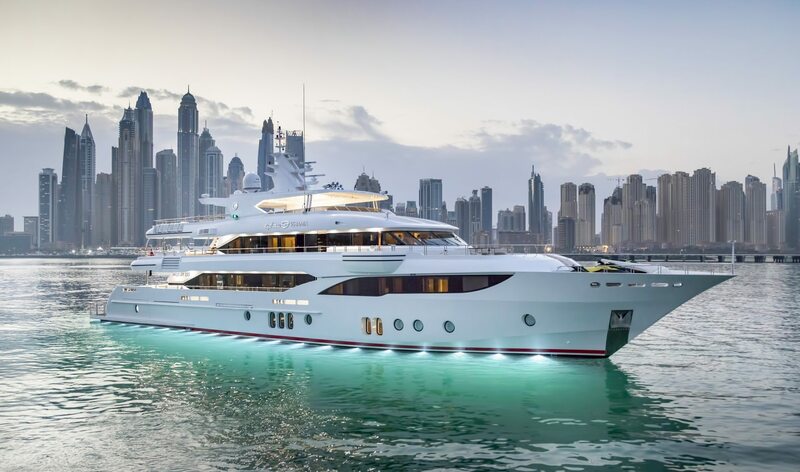 On this super yacht you can explore the whole world. 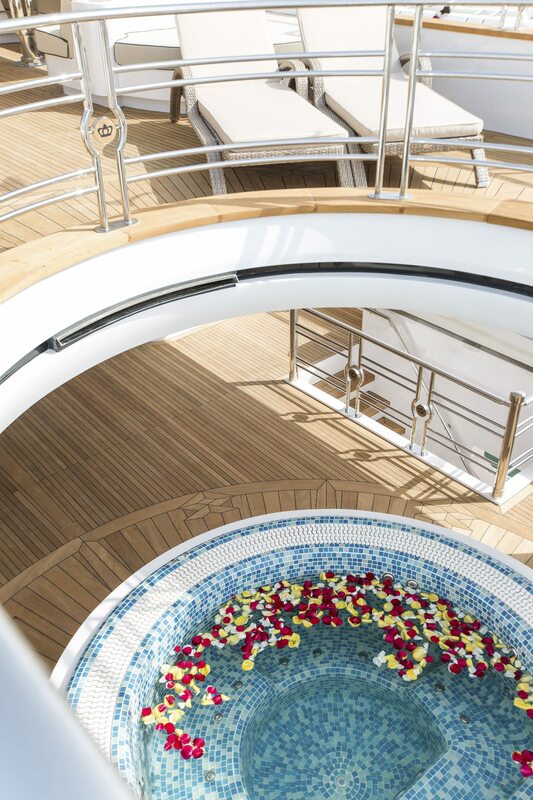 On deck are the large aft deck, the bow area with seating area and sunbed area, the intermediate deck with pool and waterfall. And the beach club with all its toys in the huge garage as well as the great flybridge with a practical layout and huge space leave nothing to be desired. The cabin layout includes a salon level extending over the entire hull width owner’s cabin, which of course has its own and spacious bathroom, as well as a walk-in closet and a large window front. In addition, there is room available, which e.g. can be set up as a study, gym or cigarette lounge. The flats are connected by a comfortable staircase and a lift. There are also four further cabins for guests, each with their own bathrooms, as well as a very spacious area for the crew. Of course, the entire layout is tailored to the wishes of the owner. It goes without saying that a large selection of different materials is available for a very individual equipment.